…they wanted to make a path for the postie, as they were expecting mail! After all the mail will get here eventually! Lovely. Do they bike in winter as we do in Finland? Indeed they do, Victoria is a very bicycle-friendly city winter and summer…but not when there is snow over their heads! Yes, hot chocolate is very reviving! 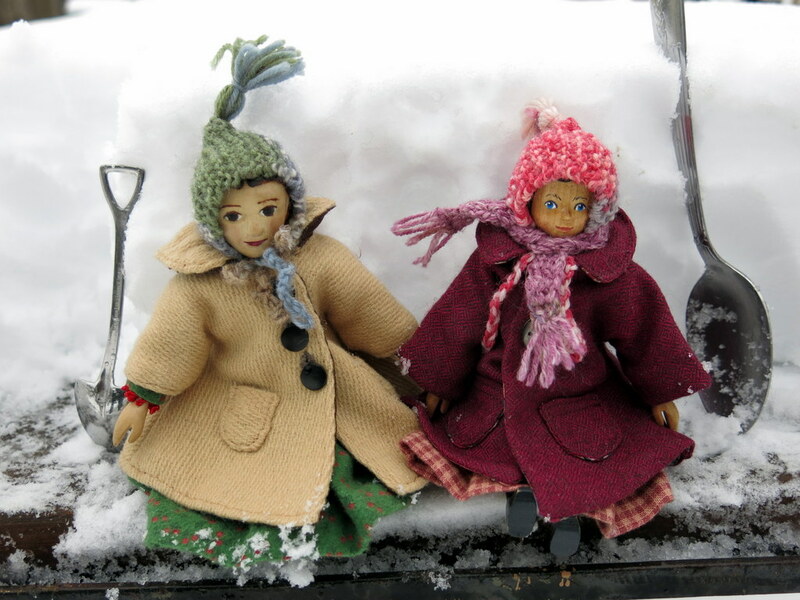 It’s exhausting work, shoveling with wet snow….kudos to Constance and Rose for helping get the mail delivered to the QH household. Totally agree with Martha…hot chocolate time. 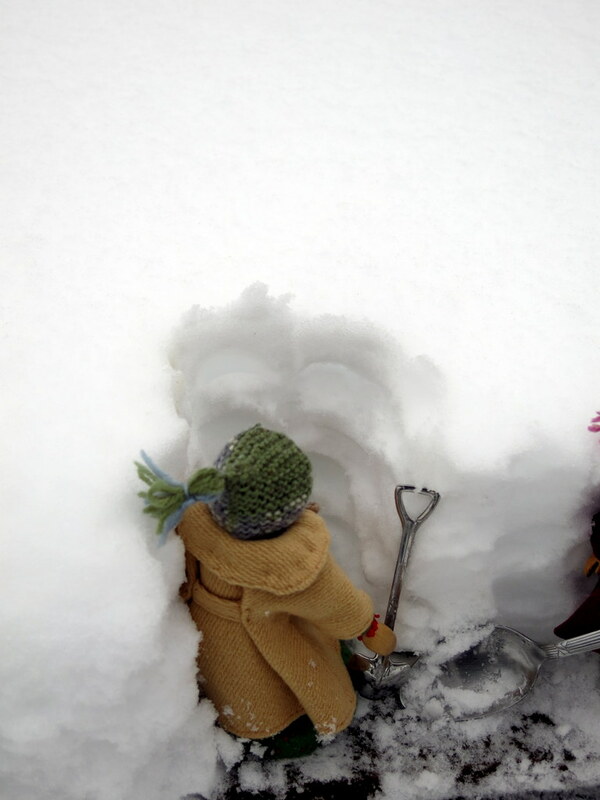 Shoveling heavy wet snow is hard work…but it has to be done – especially important to clear the drains so that when the snow does begin to melt, it has somewhere to go and doesn’t flood! 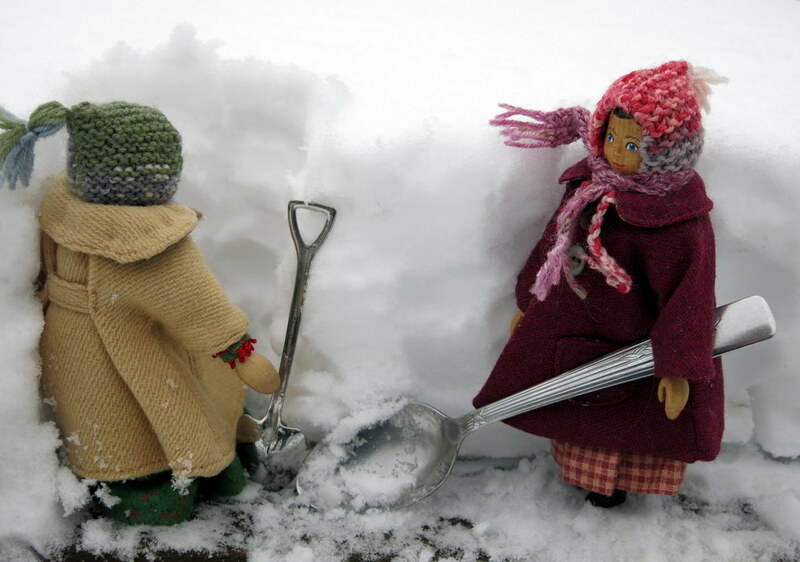 Oh!….hot chocolate and snow…Mamie thinks this caretaker has all the secrets!!! 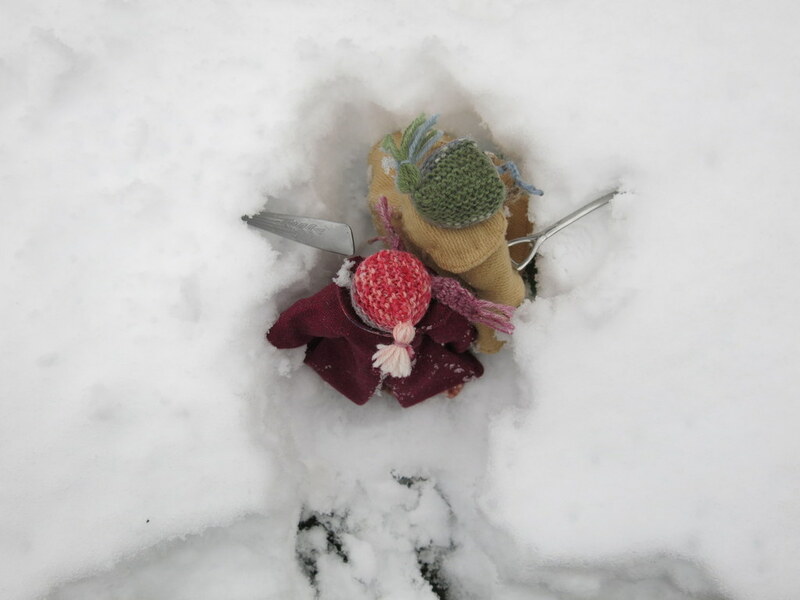 She is expecting a mail delivery so…she may lure the girls into some shovelling too! Mamie is right! I hope your mail came today – ours did not, despite the beautifully shoveled path to the house! We consoled ourselves with chocolate! We know how heavy and cold it can be to shovel snow. Good that you stopped. I hope your letters arrive soon. It can be very back-ache-inducing work…fortunately the girls stopped before that point! I spent the day shoveling ice and snow in short intervals. I showed our Hittys this post…hoping they’d get the hint to help me…but to no avail. it is not fun to be frozen into the house like that…we took it a bit at a time too – the only way to deal with wet snow, and Ice. I am with the girls on this….and eventually the stuff will melt!! I am admiring the girls coats…the Quimper Hittys do have a lovely wardrobe of outer wear!! Constance’s likes these plain and serviceable coats – they are not fancy so they are good for getting outdoor work done in this weather.